Philip Schuessler recently completed his PhD. at the State University of New York at Stony Brook. He has also received degrees from Birmingham-Southern College where he studied music composition under Charles Mason and Dorothy Hindman and from the University of Miami while studying with Dennis Kam and Keith Kothman. He has had works performed by notable artists such as violinist Graeme Jennings, percussionist Daniel Kennedy, the New York-based Yarn/Wire Ensemble, New York-based Mantra percussion, and cellist Craig Hultgren. 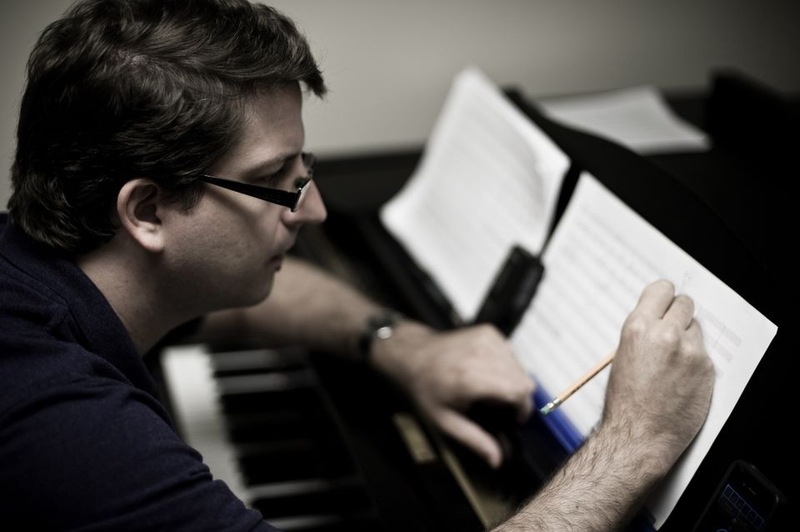 He has had works performed at the June in Buffalo Festival, the University of Tennessee at Chattanooga New Music Symposium, Birmingham City Stages Festival, Festival Miami at Florida International University, the Czech-American Summer Music Workshop at Florida State University, Elliott Carter/Oliver Knussen Chamber Music Intensive Workshop at Carnegie Hall, CCMIX in Paris, MusicX in Cincinnati, the Ernst Bloch Festival in Oregon, the 2005, 2006, and 2007 SEAMUS National Conferences, Electronic Music Midwest, Spark Festival in Minneapolis, MN, and the nief-norf Music Festival in Greenville, SC. He has also been a participant in The School for Designing a Society in Urbana, IL the 2007 Oregon Bach Festival, Brush Creek Residency in Saratoga, Wyoming, and the Mise-en Festival. He currently is an Instructor of Music at Southeastern Louisiana University in Hammond, LA. Particle Fountain for percussion-piano quartet (2013) ca. 10 min. My compositional interest with this piece lies at the intersection between the musically frenetic and the musically static. I wanted to create music that balances between the two but in unpredictable ways. The frenetic aspects of the piece lie in the rhythmic energy of cycling and interrupted pitch patterns; the static aspect occurs in the quiet resonances. At the same time, those pitch patterns, by their very nature repetitive and pulse-oriented, can also be associated with a sort of stasis, just as the resonances, pregnant and weighted with tension, may give one a sense of building energy. With this counterpoint of motion and stillness comes the juxtaposition of instrumental identities. The instruments use their distinct materials, occasionally stealing or sharing with the others, in order delineate themselves from the other instruments. The overall result might be viewed as a sort of perpetual emergence and interruption - a fountain of sorts. This piece was written for the Yarn/Wire Ensemble. Hymn320 for two percussionists and electronics (2008) ca. 10 min. Hymn 320 couples spoken text with percussion and electronics as a strategy for distorting, fragmenting, and correcting in a retroactive way the meaning of words of political activist Eugene Debs. The works considers the process of transformation of words into language – the emergence of meaning out of the mechanism of forming speech through contexts of phonetics and rhetoric. Underlying this process is a dialectic between stability (through noticeable pulse, steady tempo, low dynamic and palpable cadence) and change (through erratic shifts in tempo, dynamic outbursts, and timbral distortions via electronic transformation). What a Dream We Have in Jesus (2005) ca. 17 min. This piece is an attempt in abstracting and deconstructing elements of form, melody, gesture, and timbre. The subject for departure is the hymn What a Friend We Have in Jesus. Over the course of the work, the hymn is stretched and fragmented and is gradually imposed by the implementation of spectral components of a cowbell sample. Eventually, the harmonic material is overtaken by such partials while rhythmic ideas from the hymn remain intact. A special thanks goes to Benjamin Lanz for requesting the work. Roadside Picnic for two pianos (2002) ca. 20 min. Roadside Picnic is a work that evokes a sense of vacillation between an illusory stasis and a temporal nature of inevitable change. The piece does this by interweaving different cellular blocks with certain limiting features of dynamic, texture, tempo, and development. It embeds isolated “imaginary quotations” constructed of underdeveloped, stunted tonal structures within a more abstract, stark framework. The title of the work is in reference to a short story by Arkady and Boris Strugatsky upon which the film Stalker by Andrei Tarkovsky is based. Both the story and the film explore the uncertainties of the nature of found, alien artifacts and the dangers inherent in exploring the beautiful yet treacherous territories within which the artifacts may be found. Furthermore, these works investigate human interplay, history, and memory that taints the purity of natural dispositions due, in part, to the excess of goal-oriented agendas. A picnic. Picture a forest, a country road, a meadow. A car drives off the country road into the meadow, a group of young people get out of the car carrying bottles, baskets of food, transistor radios, and cameras. They light fires, pitch tents, turn on the music. In the morning they leave. The animals, birds, and insects that watched in horror through the long night creep out from their hiding places. And what do they see? Gas and oil spilled on the grass. Old spark plugs and old filters strewn around. Rags, burnt-out bulbs, and a monkey wrench left behind. Oil slicks on the pond. And of course, the usual mess - apple cores, candy wrappers, charred remains of the campfire, cans, bottles, somebody's handkerchief, somebody's penknife, torn newspapers, coins, faded bowers picked in another meadow. These are spliced excerpts from the 20 minute work.